I usually don’t post about my own technology but I think I have to make an exception this time. We just added an SDK (software development kit) to our AR platform and publishing system. This is a major addition to our AR offering. It will allow developers to add all the power of our AR platform into existing and new apps. Easily add AR to your existing or new apps, iOS and Android! Use the tools you already like and know. With Hoodoo you can always leverage your in-house team or current contractors. No new authoring tools to learn! We also support apps that have been built with Xamarin, React, and Unity. Most flexible and cost-effective solution. You only pay for what you use! Flexible licensing plan. We have a solution for even the smallest start up. Online / Offline / Synching: we have the right functionality for your business. Need to start small? 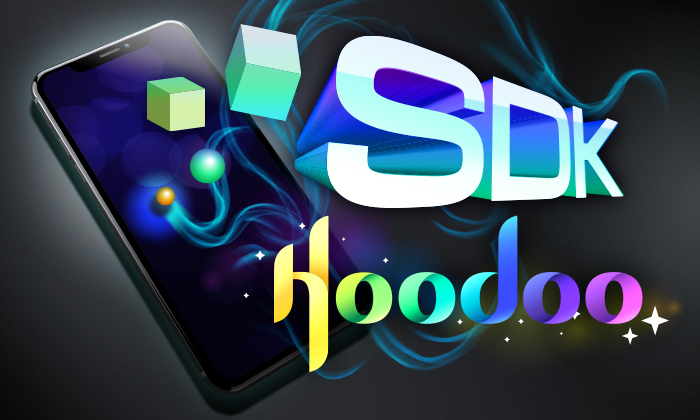 No problem we ‘ve got you covered with our Universal “GetHoodoo” app. Image recognition, QR Codes, and barcodes can all be scanned at once! We are focused in the addressable market which is mobile device based. This give us the opportunity to tap into 2 billion operational devices around the world and growing. We plan to support some HMDs and HUDs as they become commercially viable. I am really proud of our team! It has been a long journey to get to this point, and still much more to come. I invite you to learn about our AR solutions and how we they can add value to your business. This year we’ll have an extensive marketing and outreach program. You can connect with us at Digital Hollywood this coming May 21 – 23 at the Skirball Center in Los Angeles, or at Augmented World Expo May 29 – 31 in Santa Clara. Our you can contact us to schedule a free consultation and / or demo of our platform. No hard sale, no strings attached!